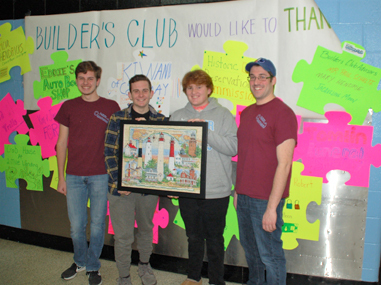 Builders Club is an international student-led program providing members with opportunities to perform service, build character and develop leadership. It is open to middle and junior high school students. Clubs are chartered in partnership with a Kiwanis club and a school or community-based organization serving middle or junior high school students. The Richard M. Teitelman Middle School Builders club held a successful fundraiser for their community projects on March 2, 2019. Nineteen four-member teams competed for prizes in the mid-winter tournament to raise funds for the club projects. 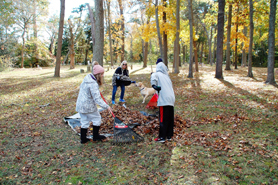 The club’s mission and vision is to continue upkeep and support for the Union Bethel Civil War Veterans Cemetery and provide Thanksgiving baskets for families in need at their school again the year. Plans include support for the Friday Book Bag food program and an animal shelter. The puzzle tournament was a welcome late winter indoor activity for teams to support the Builders Club event. Kiwanis Club of Cape May sponsored the purchase of the 550 piece jigsaw puzzles that depicted Lighthouses of New Jersey. “The puzzle worked out to be just right for a competition,” said Jacqueline Moon, a Kiwanian advisor to the club. Local businesses and individuals provided prizes and funding support. Volunteers who helped during the event included Kiwanis club members; Lower Township Historic Preservation Commission members; Teitelman employees, ‘cafeteria lady’ Joan and office administrator Lauren Hansen; Paul Schulte, Builders Club teacher advisor along with Jacqueline Moon and Mary Hendrie, Kiwanis Club of Cape May advisors. Kiwanis Builders Club is an international student-led program providing members with opportunities to perform service, build character and develop leadership. It is open to middle and junior high school students. Clubs charter in partnership with a Kiwanis club and a school or community-based organization serving middle or junior high school students. 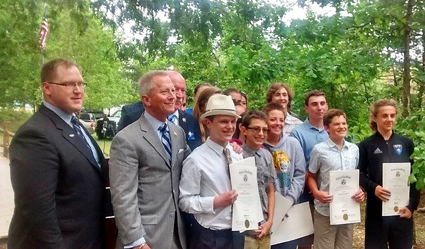 For more information on the Kiwanis Club of Cape May and Richard M. Teitelman Middle School Builders Club Contact Us. The winning team was the LCMR Kiwanis Key Club who sponsored themselves for $50 and walked away with almost $300 in prizes. The team members were Club Teacher/Advisor Chris Vitale, Nick Arpa, Ryan Devine, and Andrew Heim. Second place team was Puzzlers Too sponsored by the Crab House at 2 Mile Landing with Builders Club President Jakob Hansen, his grandmother Gail Johns, and Hailee Stiefel. Aqua Trails Kayaking sponsored third place team, Paddle Puzzlers. Team members were Erin Haibach, a Builders Club member, Kyla Haibach, Anya Davids and Marley Kronemeyer. 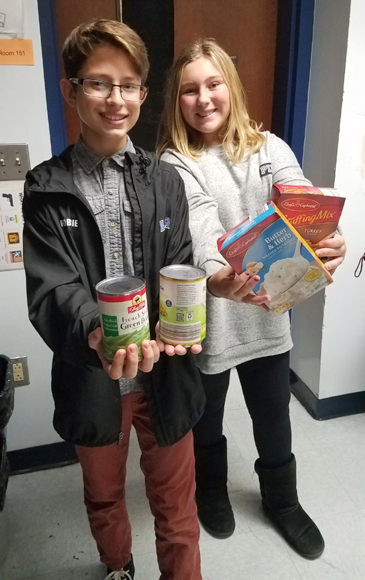 The Builders Club at the Richard M. Teitelman Middle School, a club of seventh and eighth graders in Lower Township is collecting non-perishable food items and donations for this year's Thanksgiving food baskets. According to Paul Schulte, club advisor and engineering teacher at the school, "This is the first time the Builders Club has taken this on," he said. "I proposed it to the entire club at our first meeting, and they agreed to take on the project. The Builders Club, a partner is sponsored by the Kiwanis Club of Cape May. Both organizations are collecting for Thanksgiving food baskets. The club is a Kiwanis International student-led program providing members with opportunities to perform service, build character and develop leadership for middle and junior high school students. Newly elected club President Robbie Sleght, an eighth-grader from North Cape May, said, "The club wants to be able to help those who are less fortunate than us" for the holidays. "Some people don't have a lot, so it's nice to know that we can help others in our community," added Anya Davids, an eighth-grader who is a member of the club. "Some people aren't able to celebrate Thanksgiving in the special way that it should be, so this gives us a chance to help them," noted Elliana Morello, newly-elected vice president and a seventh-grader from North Cape May. Schulte said the club would work with the school staff to identify families in need. About 20 families receiving weekly book bags of non-perishable foods are already on the list. 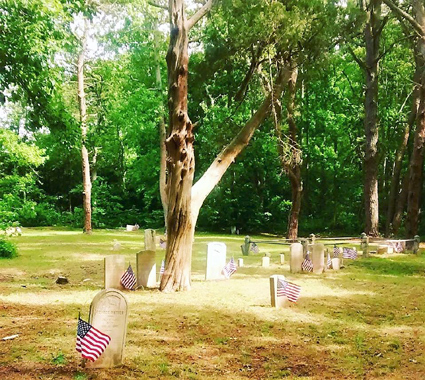 ERMA – Hoping to teach his students “to give back to their community,” a middle school teacher has been leading the charge to clean up the ﬁnal resting place of Cape May’s and Lower Township’s first African-American families and black Civil War soldiers. 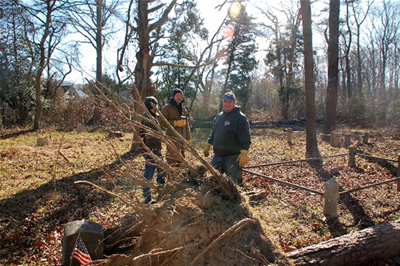 Paul Schulte, who teaches an engineering program at R. M. Teitelman Middle School, advised the school’s Builders Club, which has been clearing the Bethel Union Civil War Veterans Cemetery, on Tabernacle Road. 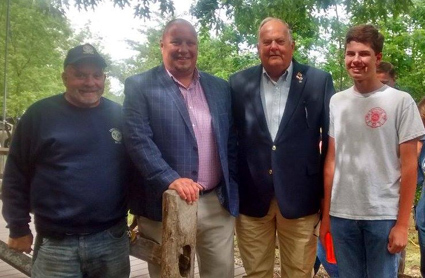 They have joined forces with the Cape May Kiwanis Club, which sponsors the school club, and the Lower Township Historic Preservation Commission (HPC) in the service project. 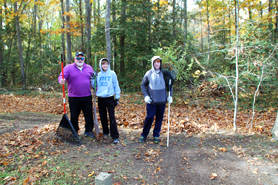 When Schulte decided to clean the cemetery, he was contacted by the mayor of Lower Township about working with the HPC on the project. 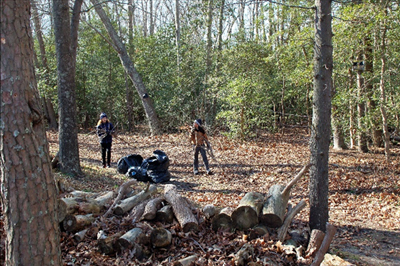 At the ﬁrst workday Feb. 17, 14 students and eight adults spent the Presidents Day holiday clearing branches, leaves and other objects from the grounds. 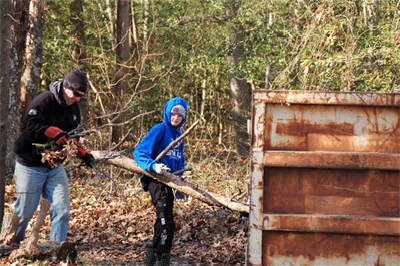 At the second workday March 4, 17 of the 18 adults were from the HPC, and they brought along a chainsaw to cut trees and branches while the students raked and removed more leaves and branches. The third workday, March 25, about 50 students and adults were present. 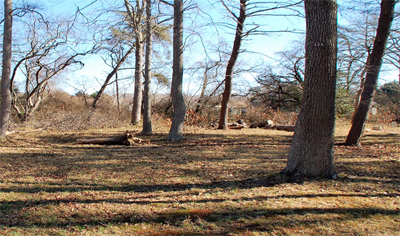 Their goal was to have the cemetery in tip-top shape for a “grand re-opening” near Memorial Day, according to Schulte. 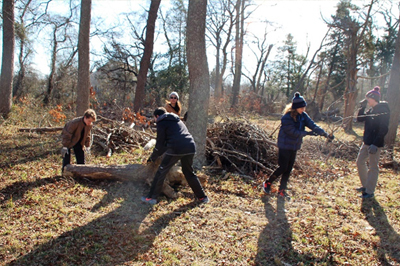 “The response from the kids and community has been amazing,” Schulte said as he watched the volunteers pick up logs, rake leaves and remove branches and vines from the grounds. “All these people are here because I asked. Although the cemetery has been the service project of other groups over the years, it had fallen into disarray because no one maintained it. Schulte is hoping this time is different and said the Builders Club has taken this service project on and will return in the fall to remove leaves. 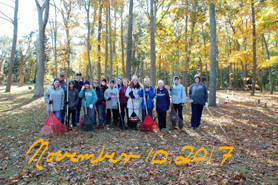 “We’ve had a woman offer to give us day lilies to plant, because they require little maintenance,” noted Jacqueline Moon, a member of the Kiwanis Club who is involved with the project and volunteered her efforts the second workday. Rudy VonColln, a member of the HPC from Erma, said he plans to do what he can to maintain the grounds over the summer, including mowing and trimming plants and bushes. 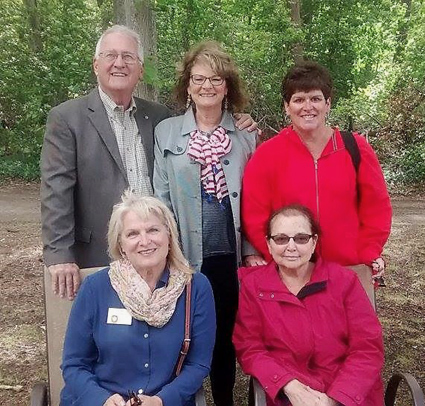 “The Kiwanis Club will contribute ﬂags for all the veterans gravesites,” Kim Ford, Kiwanis Club president, said. She and her husband, Jim, were among the volunteers March 25. 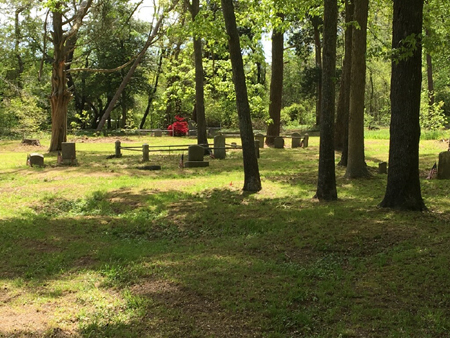 The cemetery was once the site of the Union Bethel Church and the first black settlement in the area. It is the final resting place for some families, including the Turners, Vances, Humphries and Hastings. Some headstones date to 1834; stone marks the gravesite of nine black sailors found on Delaware Bay beach in Lower Township after their ship went down in 1850. At least 70 veterans are buried there. “It’s nice to see they want to give back to the community,” added Judy Gillis, another HPC member who lives in Villas. February 17, 2017: Today was R. M. Teitelman Middle School Builders Club’s first work day at Bethel Union Civil War Veterans Cemetery located in Erma, NJ in Lower Township. 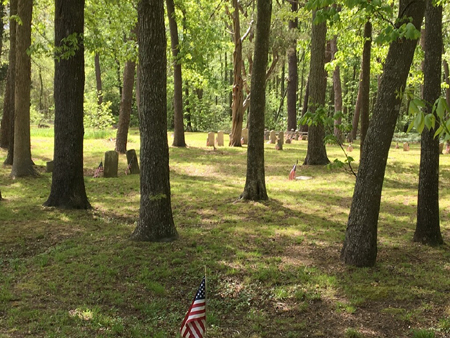 Union Bethel Cemetery is the final resting place of Cape May and Lower Township's first African American families and Black Civil War soldiers. The renovation and clean-up project was the brainchild of Mr. Paul Schulte, Engineering Science teacher and the club’s sponsor. 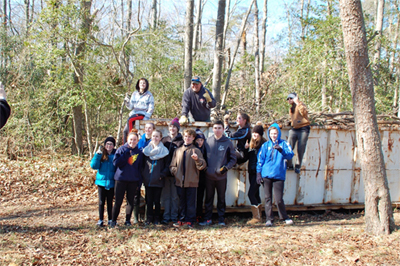 Even though today was a day off from school commemorating the Presidents’ Day weekend, 14 students and eight adults came to pitch in and get this project off to a great start. The goal is to have the project completed by this Memorial Day when we will celebrate the grand re-opening of the cemetery. 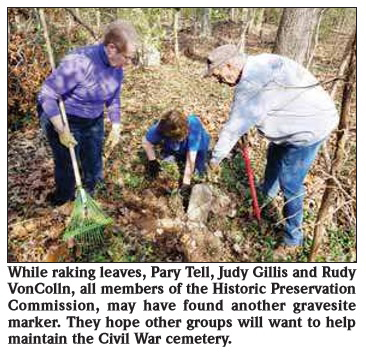 Several different private groups and organizations have made efforts in cleaning up the cemetery but unfortunately falls back into disarray without regular maintenance. To help prevent this from happening again, local landscape company has offered to regularly mow and trim. Mr. Schulte has also made arrangements with a company to engrave new grave markers at no cost for the plots that no longer have them or have been broken and destroyed. The Builders Club will have fundraisers to procure the funds needed to purchase the markers. The students who volunteered their time and ENERGY today were: Izzy Aftanis, Jordan Dougherty, Rob Elwell, Nikolas Frey, Ethan Frohman, Max Gilbert, Kyla Haibach, Alli Johnson, Chloe Lawler, David MacDonald, Molly McGuigan, Victoria Novsak, Kate Von Savage and Jackson Schiffbauer. In addition to Mr. Paul Schulte, the adults who actively participated were: Rob Elwell, Judy Gillis, Mark Haibach, Ed Johnston, Jacqueline Moon, Mark Schiffbauer and Bruce Tell. This equated to 40 hours of volunteer labor! The next work day is scheduled for March 4, 2017 at 11 am. Copyright© 2018 Cape May Kiwanis Club. All rights reserved.